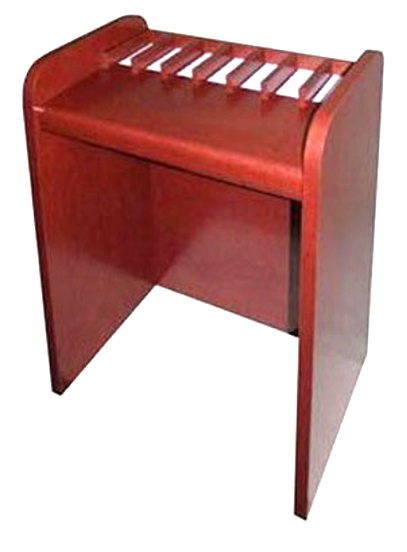 This one-sided check desk, shown in cherry finish, is finished on all four sides and has seven compartments. It ships fully assembled and is available in 10 color choices: red mahogany, cherry, golden oak, walnut, light oak, colonial, black, gray, silver and gold. Dimensions: 42" H x 39-1/2" W x 24" D.
This one-sided check desk, shown in cherry finish, is finished on all four sides and has seven compartments. It ships fully assembled and is available in 10 color choices.